Automatic pallet stretchwrapper with powered conveyor. GL 1000 is able to fulfill the highest demands regarding capacity, adaptability from customer to customer and is easy to serve and economical. GL 1000 will become the perfect fully automatic, technical advanced wrapping station in your packaging line. The GL 1000 is equipped with Cyklop´s patented with adjustable prestretch system in eight steps up to 400%. 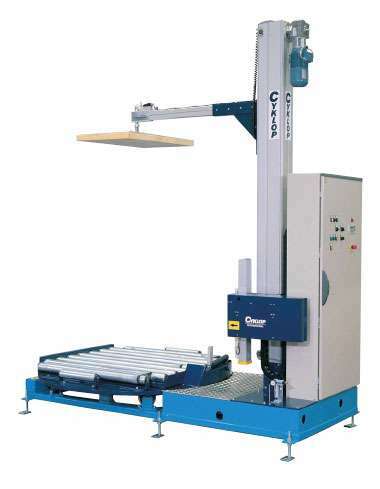 With a programmable operating system the turn-and-lift speed, the amount of film, the wrap tension etc. can be adjusted so that it is applicable to a large variety of loads to meet your precise requirements. The complete cutting unit is designed with performance and durability in mind. Color touch panel with graphic overview of sensor status for easy troubleshooting. The stretch unit prestretches the film between two rollers rotating at different speeds through a mechanical connection, the exit roller being power assisted. The exchange between the rollers is constant with stretch ratios in 7 steps between 60 and 300%. The choice of stretch grade depends upon the charac- teristics of the film, the sort of loads and the speed of the turntable. The Cyklop stretch unit has become a success. With the help of an advanced electronic system, we can maintain a constant wrap tension between unit and pallets, regardless of the size and form of the pallets. The film tension is chosen to fit the goods to be wrapped. This tension will change automatically if another film type is used. 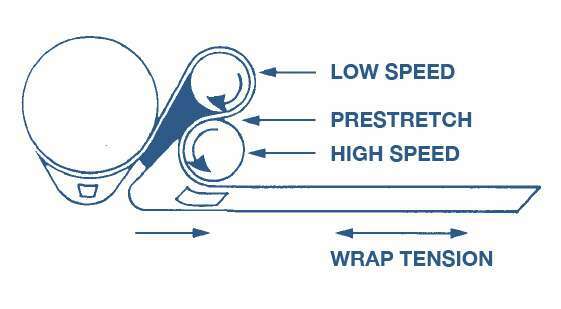 A low wrap tension is applicable to light and delicate loads while a high wrap tension is necessary for heavy, dense loads. The unit is specially designed for easy and quick change of film. 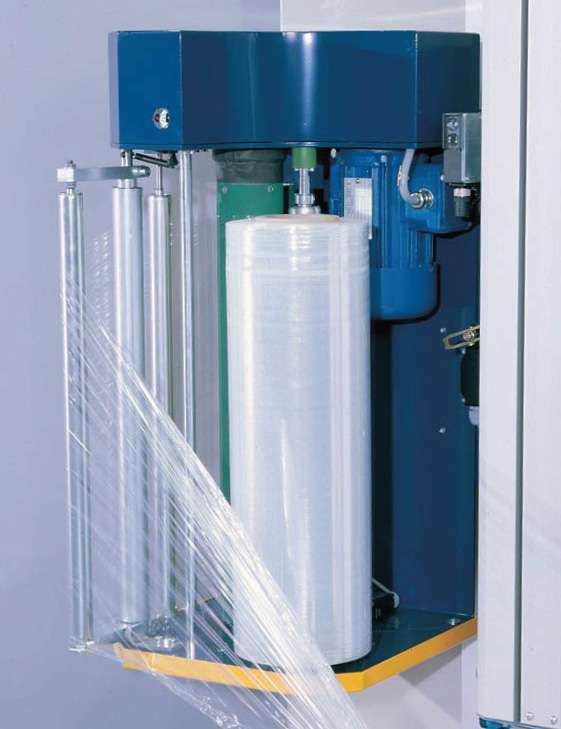 Stretch film All Cyklop machines can handle film thicknesses 9-35 microns in both blown and cast qualities, pre-stretched or regular. Please note that the best package quality and lowest cost per pallet will always be obtained by using high quality films regardless of the film thickness.